When used with the MI DNA 528 Hz repair fork, the Genesis tuning fork helps to repair damaged portions of DNA. The Genesis tuning fork is included in the Kabbalah Tuning Fork set. The creators of the tuning fork claim that the tuning fork will move bones and joints back into place when they are out of alignment. They also claim that the tuning fork will also repair and rebuild muscles and tissue. It would be so marvelous if this were true but I have not yet been able to perform any research on this tuning fork. If you have had some successful experiences with the use of this tuning fork please drop me a line so that I can share your story with others. Cost of Genesis Tuning Fork is $19.99 plus $6.99 postage and handling. 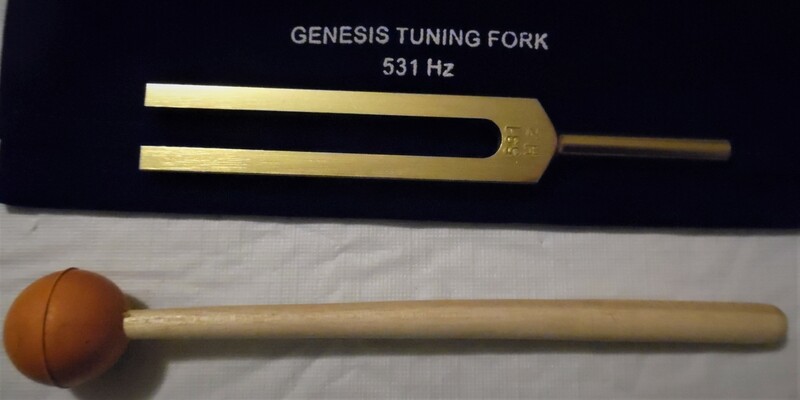 Gold Finish Genesis Tuning Fork. Cost per bowl is $30 plus $6.99 U.S. postage. 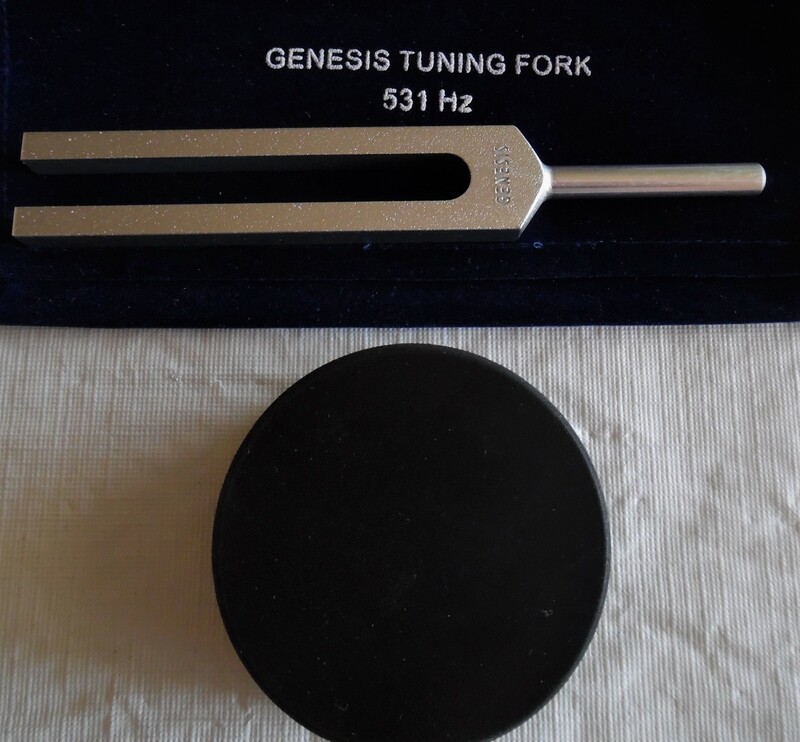 To order the Genesis tuning fork WITH a hockey puck click link below. Cost: $21.99 plus $7.99 postage and handling for U.S. delivery only. 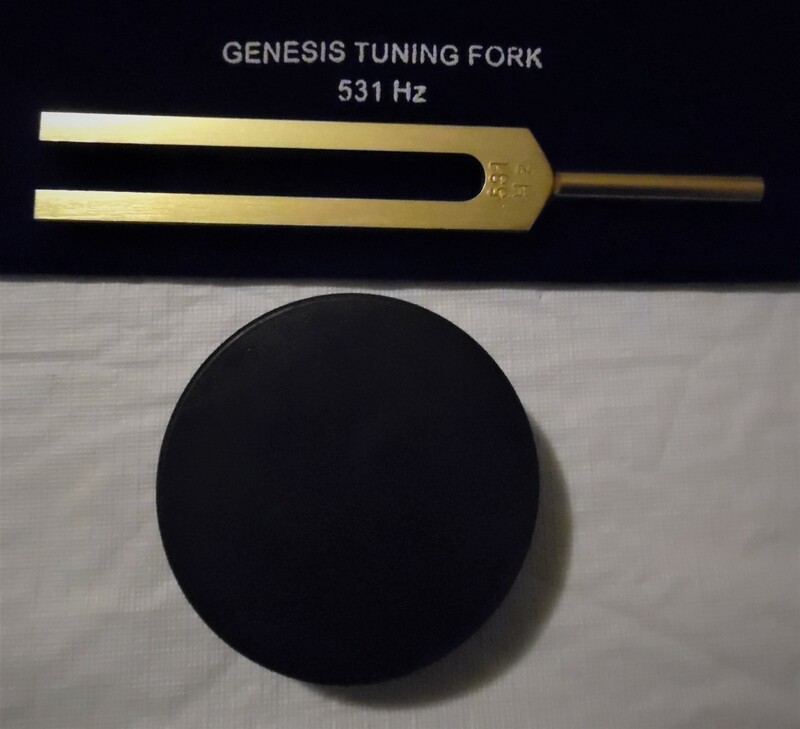 To order the Gold FinishGenesis tuning fork WITH a hockey puck click below. Cost: $31.99 plus $7.99 postage and handling for U.S. delivery only. To order the Genesis tuning fork WITH a wooden mallet click below. Cost: $24.99 plus $7.99 postage and handling for U.S. delivery only. To order the Gold Finish Genesis tuning fork WITH a wooden mallet click below. Cost: $34.99 plus $7.99 postage and handling for U.S. delivery only.